Folks can still apply for season 4, but you'll be reserve players. •	2 Personality Traits Thinks her sarcasm and insults are hilarious and poignant. She can be brutally honest with others but has no devils advocacy left over for herself. •	A brief description White Oleander is slim by Halfling standards and has often disguised herself as a human child for cons. She has twinkling blue eyes and long shiny brown hair with pale skin (when not in disguise, of course). An orphan from a young age she found intermittent success assisting a rotating carousel of other conmen, thieves, tricksters and hustlers who she learned her skills from. Learning to look out for number one - because no one else will - was her main impression from the lot of them. Adept at violence when it suits her she would prefer to drop an enemy unaware from concealment and therefore is reluctant to openly display any ability with weapons unless forced. She is fiercely proud of her people as a race despite having little connection with any community beyond those Halflings she’s encountered and has an overly romanticized notion of Halflings who live among their own kind. She is not stupid but does think herself very clever though her cunning wit has less to do with her avoiding trouble than her calculating mouth and surprising elusiveness. Quick to crack a joke at another’s expense, she is often as unaware of her cutting edge when dealing with normal people (obviously smooth with marks) as she is acutely more aware of the things around her in general- because you never know when you might need a good escape. Only 1 spot open for season 2. @Nikolas, do you think you'll go with Renar The Long Storm or Red Maw? Depending on Nikolas Choice, that group will have a paladin, cleric, rogue and either a barbarian or a bard - for anyone wanting to join who wants to think about a suitable class. I will put in for season 6. Will get a character up and posted in short order! Oh cool, Lazer's in there! PM if you need to get a hold of me quickly. Last edited by AmonBlackwood; 01-09-2019 at 11:42 AM. Last edited by Arachobia; 01-09-2019 at 12:01 PM. Howdy! 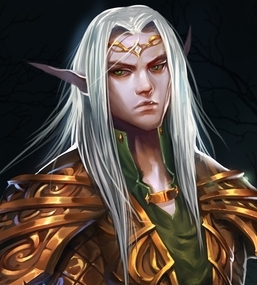 Should be posting my high-elf wizard this afternoon or tomorrow! Obviously, it’ll be up to the DM’s ruling, but I’d say it does. Expertise doubles your proficiency bonus. Your proficiency bonus is part of your skill modifier. Passive checks are 10 + your skill modifier. Updated my Application with a link to the finished character sheet (had to link as I can't get the post version to work right). Full application. Let me know if anything is missing or out of place and I'll sort it out. Personality: Direct, thorough, and sharp. Nary a detail escapes Galen's analytical mind. He speaks his mind when he has an opinion, but is wise enough to defer to others when a situation is beyond his expertise. He knows that everyone has their strengths. Ideals: Galen's aspiration to locate and map out the Forge of Fury is his primary drive. Years of work have led to this opportunity. Bonds: Exploring the Forge and cataloguing anything he can find is worth the world to Galen. Publishing it all would mean that he could die happy. Flaws: Any sacrifice must be made to succeed. Lives will likely be lost, but the knowledge to be gained and shared is worth it. Fairly tall (as far as elves go), Galen is lithe and dextrous. Dressed in forest green academic's robes, he wears a dagger on his belt and a mysterious bangle on his wrist that glows with arcane energy. Piercing green eyes, white flowing hair, and eyebrows that rise and fall like the waves of the sea have enchanted more than their share of young lovers. Galen however, has never paid much attention to anyone or anything besides scholars, manuscripts, and maps. His analytical mind is focused on the pursuit of knowledge, specifically knowledge regarding Khundrukar and the fabled Forge of Fury. He spent the first 50 years of his life learning the secrets of the arcane, which temporarily sated his appetite to learn and shape his reality. The years since then have been engaged in intense study across Faerun, reading everything he could put his hands on and developing detailed maps of the realms. His latest project is trying to better understand and eventually locate Khundrukar. He believes that the place exists, but wants to confirm for himself the existence of the Forge of Fury. Galen knows that first-hand experience always produces the best stories and best research, so he jumps at the opportunity to enter the mountain stronghold. He is enthused to find several others standing next to him, ready to delve into a place unknown and uncatalogued. They can take whatever they wish, as long as he can write about it first!